An August Love Letter Bundle for Wayne. — THE WORLD NEEDS MORE LOVE LETTERS. 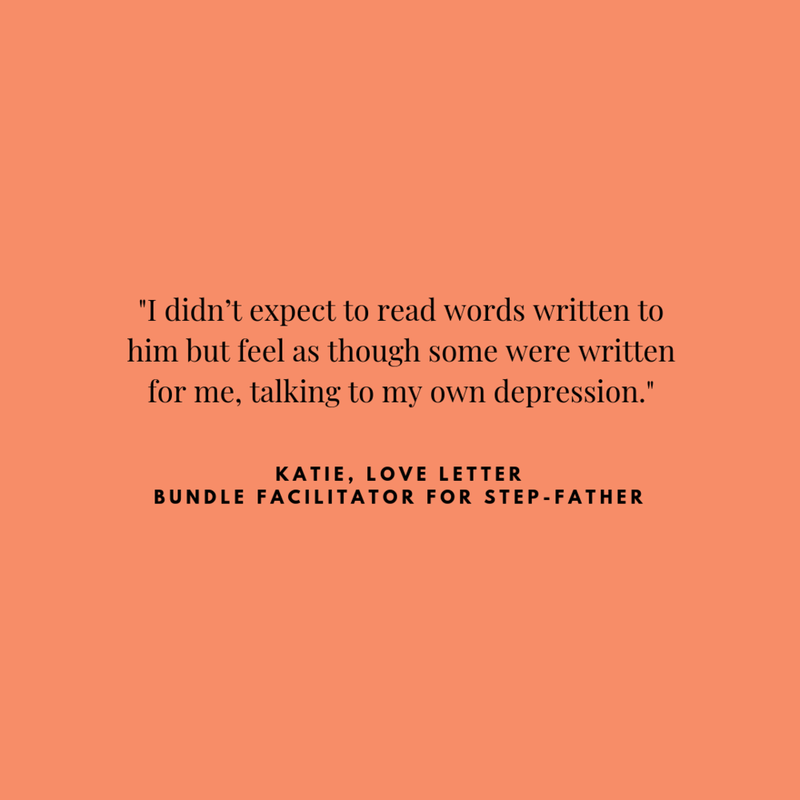 We absolutely love this testimony from Katie. Rock on, community! You're golden! "So, we’re halfway through the month and to date, I’ve received 115 letters for Wayne. Bonkers! 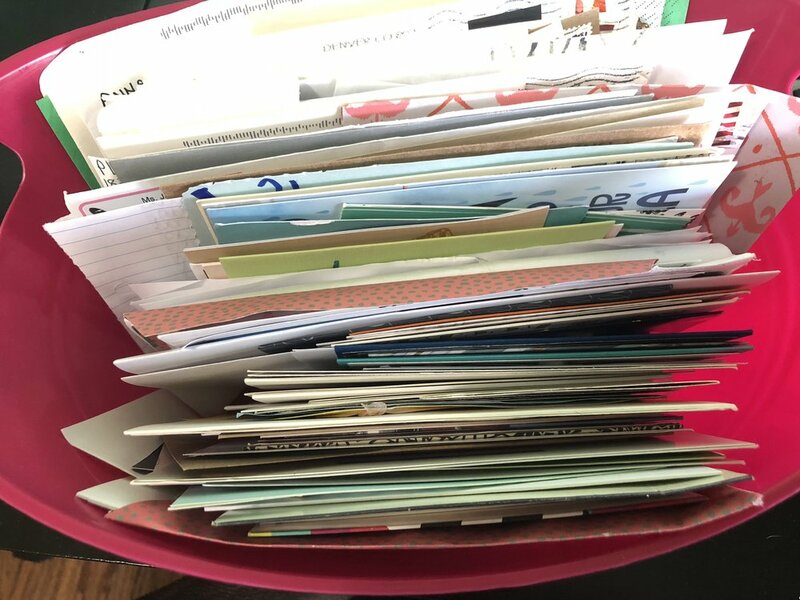 I expected a few dozen letters filled with kind words that I could pass on to my stepfather. I expected to smile reading some of the letters. I wasn’t surprised on Saturday 8/4 when the first 3 letters arrived in my mailbox. I expected it. What I did not expect was being moved to tears in the best way possible every single day since that Saturday. On Monday the 6th, I received 8 more letters. Tuesday the 7th, I got 10 more. Wednesday I got 22 more… and each day, there have been AT LEAST 5 letters in my mailbox waiting to be read. I didn’t expect to be sitting next to 115 pieces of love for my stepfather. I didn’t expect to read words written to him, but feel as though some were written for me, talking to my own depression. I didn’t expect the beautiful community to share THEIR stories of struggle, and for me to relate to them. I am beyond blessed to get a double dose of inspiration from this bundle. I experience pure joy on my own first time reading these letters and soaking in the kind words. Then, I get to do it again when I present them to Wayne. I need to say THANK YOU. This is absolutely everything I never expected, and am truly moved by. THANK YOU, THANK YOU, THANK YOU from the bottom of my little facilitator heart. You have given me a gift that I needed so very much. Cannot wait to pass this love on to Wayne!